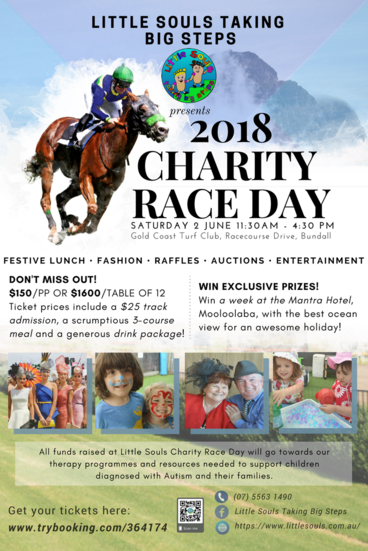 2018 Charity Race Day is presented by Little Souls Taking Big Steps which is a not-for profits organization helps children who have been diagnosed with Autism. All funds raised will go towards our therapy programmes and resources we require to continue to offer them. Join us on Saturday 2 June at the Gold Coast Turf Club for a day of food, fun, fashion, and entertainment!